Despite its proximity to the A140, this is a secret, silent place. The church is away from the village, up a narrow lane that peters out in undergrowth. In summer, the close-flanked trees in the graveyard absorb all sound; or, at least, most of it. The first time I visited, I had my two young children in tow, so the trees had a bit of a job on their hands. In those days, this church was kept locked, but the keyholders were very kind to my children, and I 've never forgotten that. 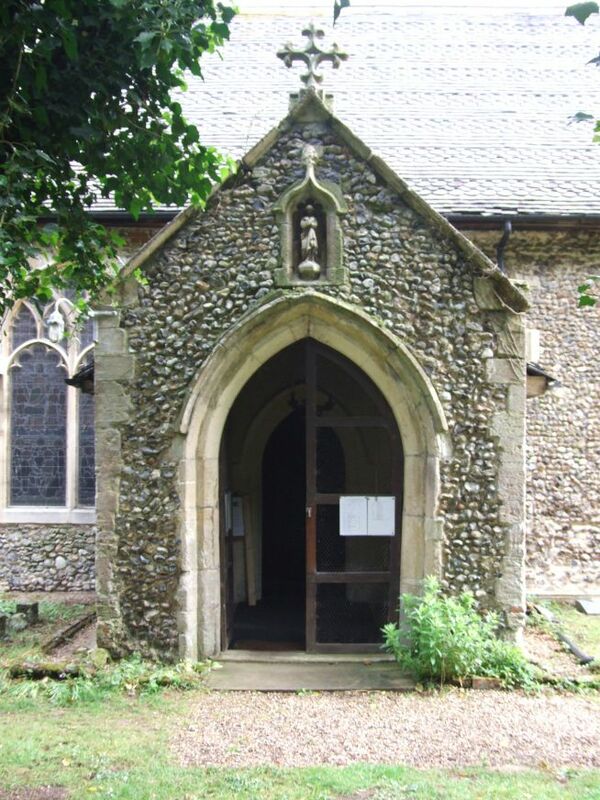 Today, like others in this benefice, All Saints is open to strangers and pilgrims every day. 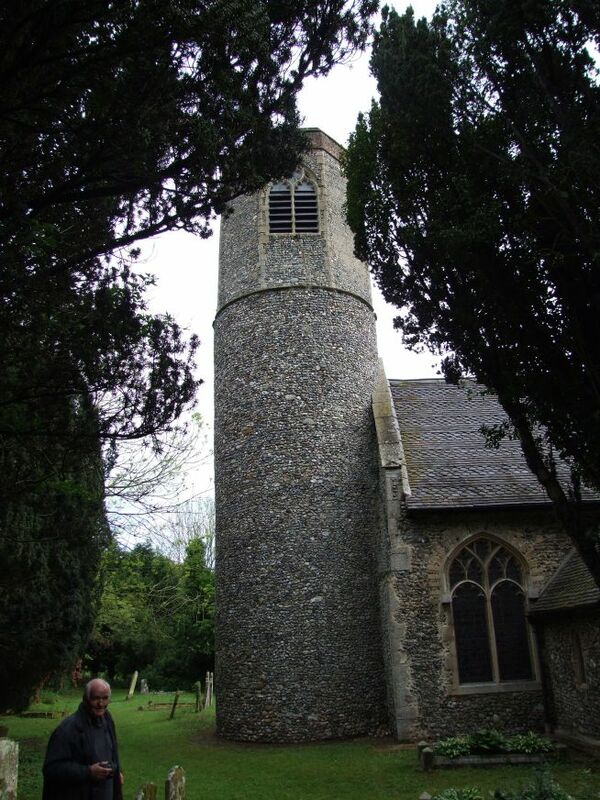 The tower is probably Saxon at the base, with a later octagonal belfry, so presumably 14th century. The body of the church appears a bit later, but is pretty well Victorianised. An old photo inside shows it pre-restoration, the east wall supported by tie-bars. There are two dated slabs, one on the south side with an ornate monogram for 1861, and a memorial stone to Osmund Clarke dated 1865 on the north side. So what was more a reconstruction than a restoration happened here in the 1860s, when exciting things were happening across the main road at Brome. 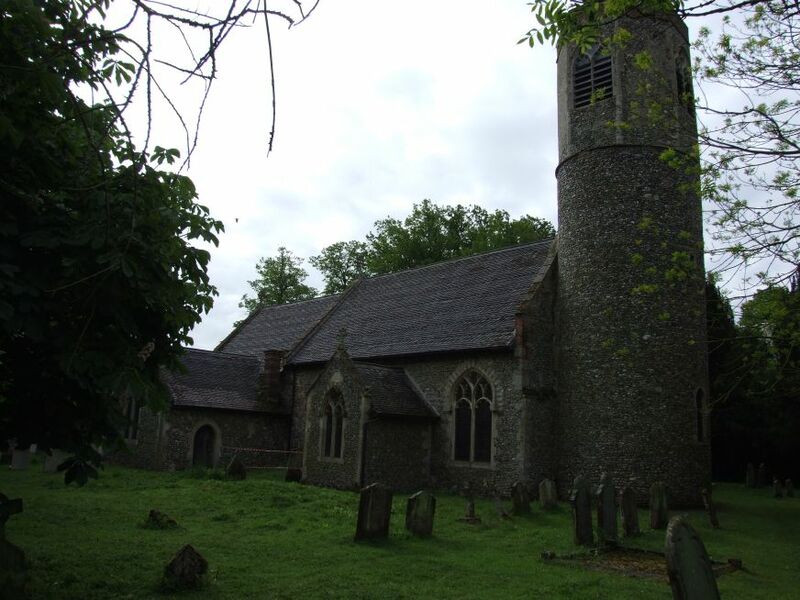 The populations of rural East Anglian parishes reached their peak in the middle of the 19th century, and have been slowly falling away since, but it is hard to imagine that Stuston was a particularly busy place even in those days. Half a mile or so north of the churchyard, the River Waveney forms the northern boundary of the parish, touching Norfolk and the town of Diss; but you would not know even today that you were so close to somewhere so urban. 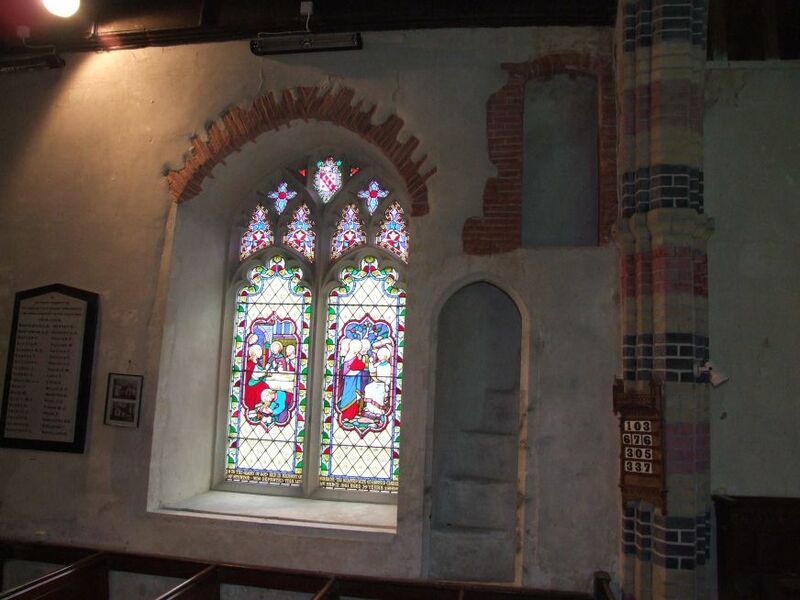 You step into a typically simple, rustic, narrow nave which opens out into the east through a chancel arch with red, black and yellow banding, and a large north transept and windows picked out the same way. 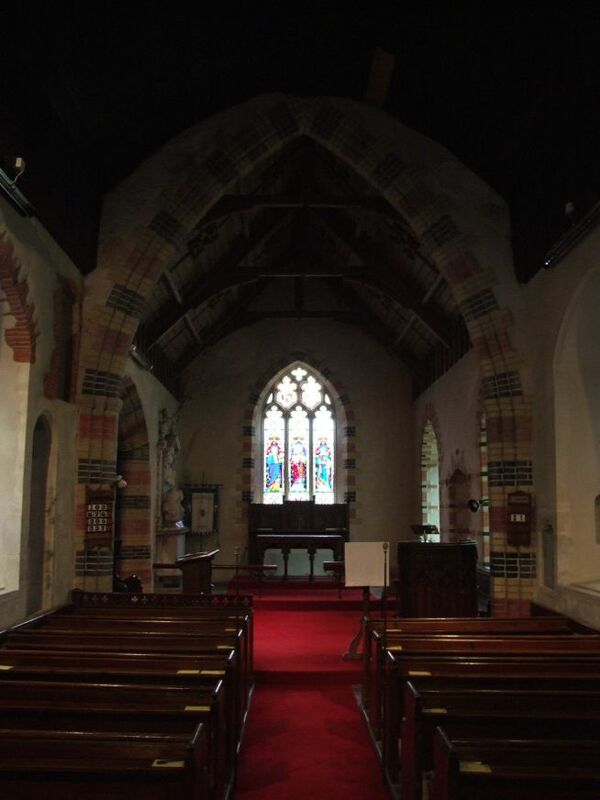 back in 1961, Pevsner was rather sniffy about the interior, considering the it 'truly terrible'. That opinion has not had a chance of being revised since, but Victorian architecture looked rather different half a century ago. There is a chance that the architect here was the great Thomas Jekyll, who was working for Lord Kerrison at Brome in the 1860s. 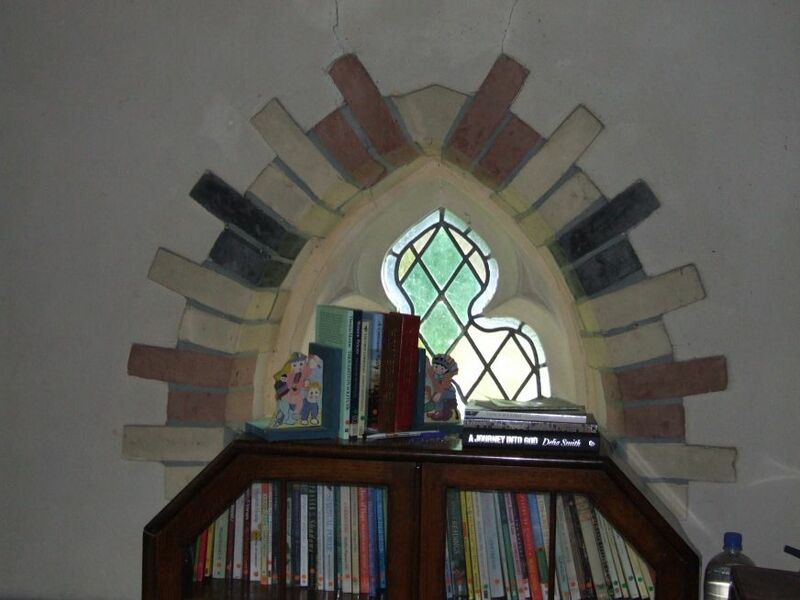 There is a little image niche in the eastern splay of a window, with its associated piscina. A nave altar was here once, focus of some long-forgotten devotion. There is a monument to the Castleton family, and an other interesting feature is the socket for the door bar emerging in a window splay. 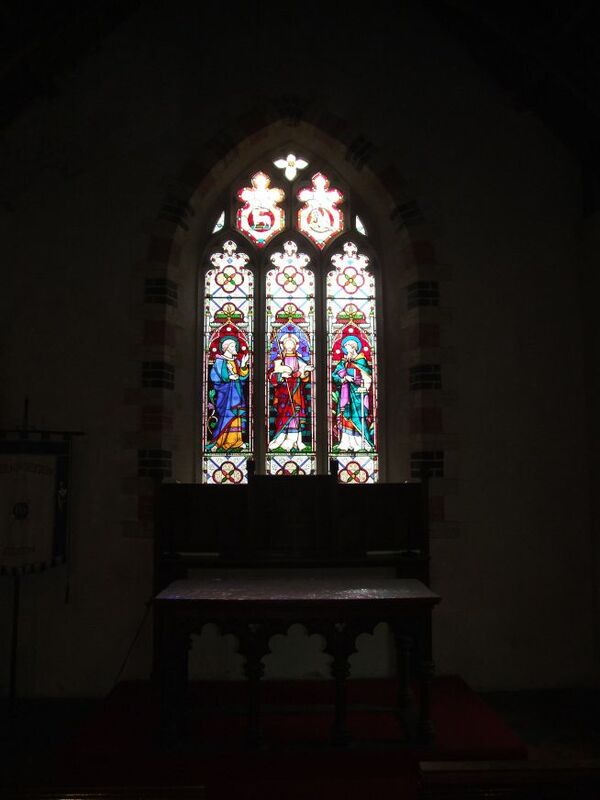 But best of all is the glass, which seems to have been paid for by the Clarke family. Some of it appears to be the work of Heaton, Butler and Bayne, and I'm intrigued to know who the excellent Transfiguration and Ascension are by. Sir John Castleton has a rather opulent memorial in the chancel. 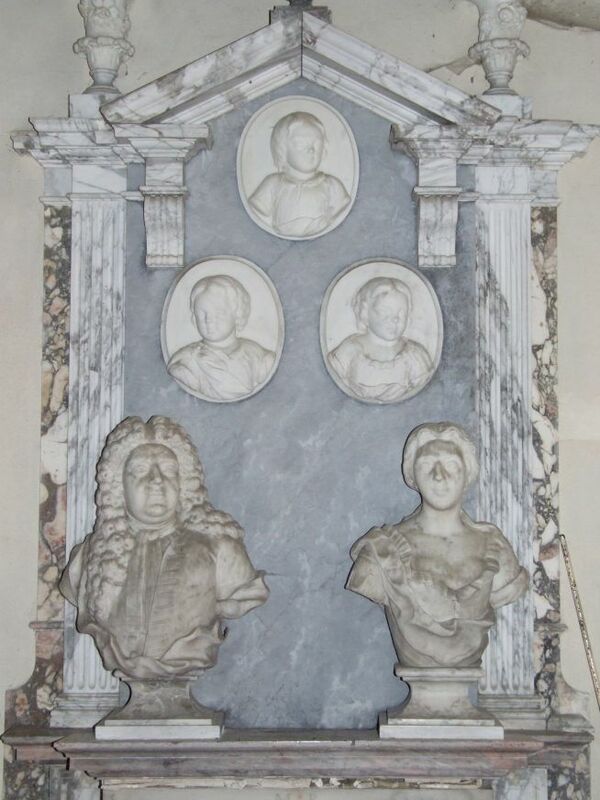 Busts of him and his wife stand on a shelf in front of a marble slab depicting their children in profile portraits, as if they were miniatures from the lockets of giants. The piece is wholly secular, as if the family photographs were being shown off. 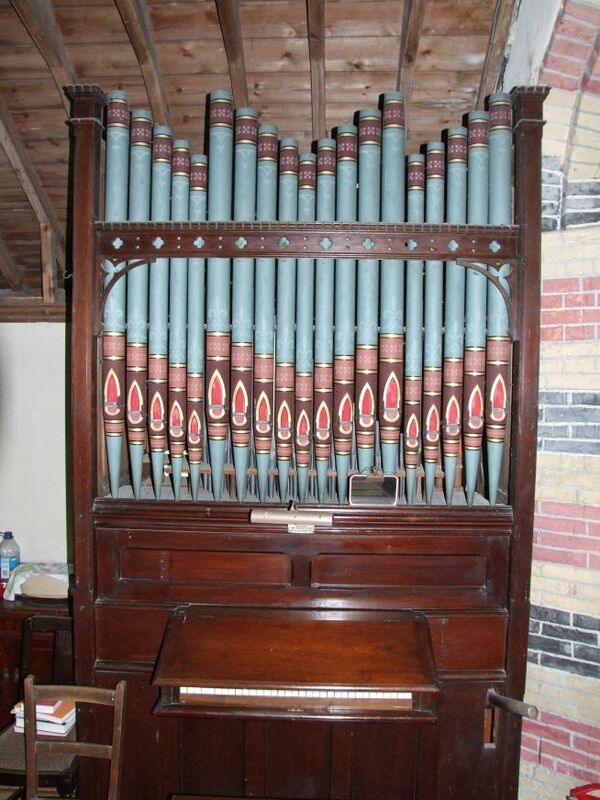 A certain amount of restoration work is currently underway in All Saints, bringing out the richness of the Victorian features. A red carpet reflects the warm glow of the banding. 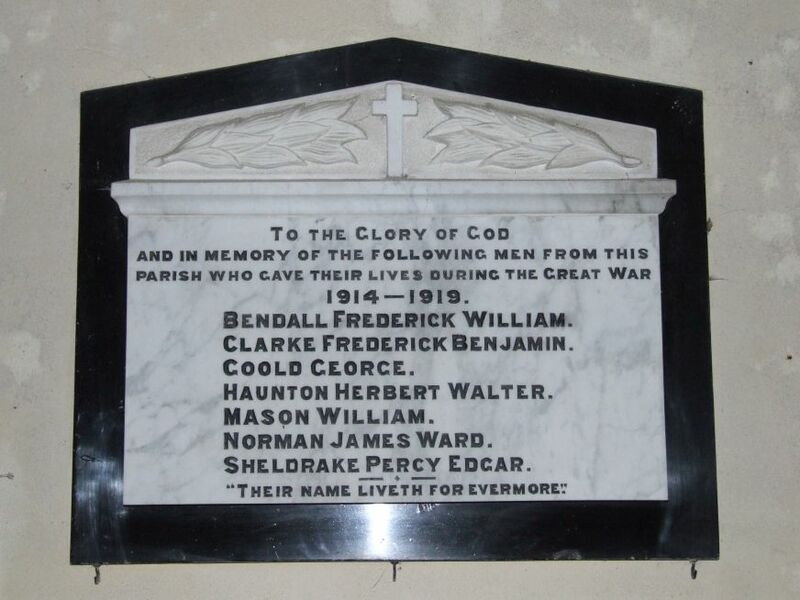 The war memorial for this tiny parish lists seven boys slaughtered in the First World War. Curiously, and a little coldly, their names are recorded with the surname first. When Arthur Mee came this way in the 1940s, he found a frame beneath the memorial containing faded poppies brought back from Flanders by the Rector. The memorial remains, but the poppies have long since gone. 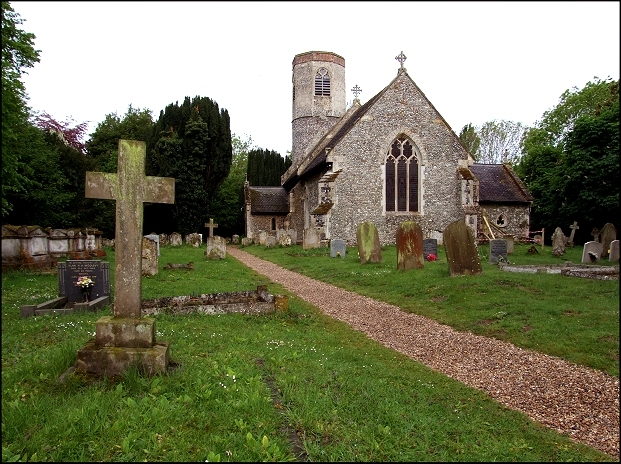 This lovely church is in a busy, friendly benefice, and you really feel welcome here.